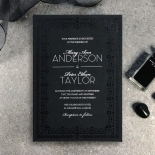 Let your special day flaunt an extremely modern feel, touching on the colour black which flawlessly flows with any type of wedding theme - vintage, formal and even classic for an impressive and unique fusion of old and new. 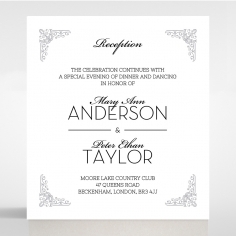 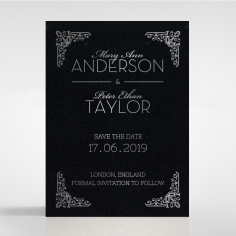 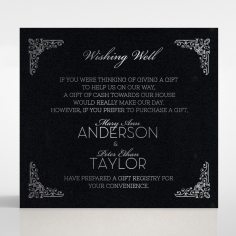 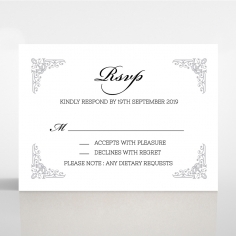 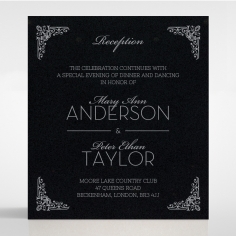 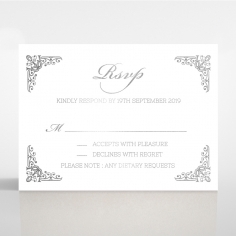 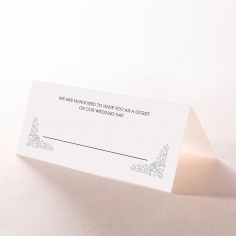 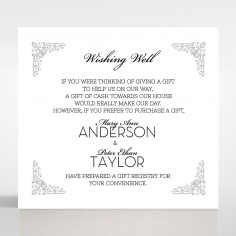 This glamourous midnight shade acts as a canvas and the addition of extra ebony for the detailing adds a remarkable look to this invite, especially when paired with luxurious matte silver foil stamped onto the stock for your personalised wording. 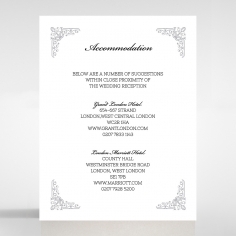 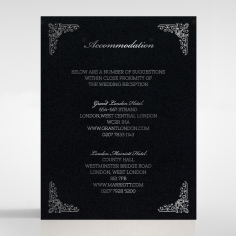 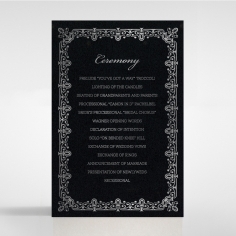 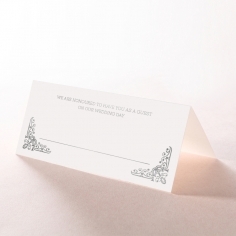 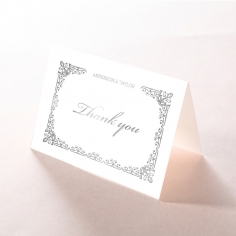 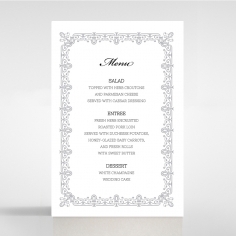 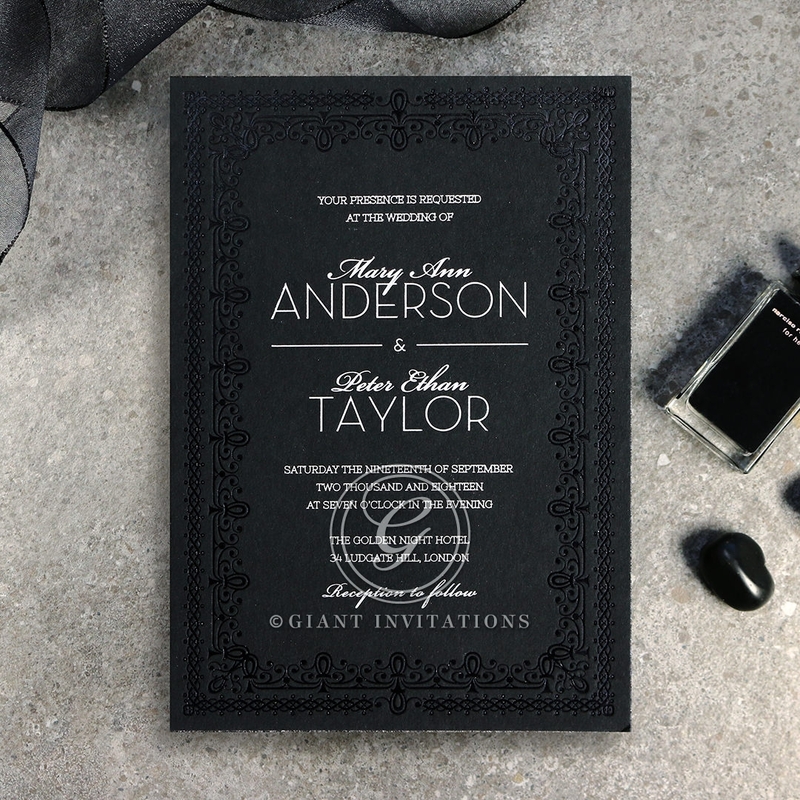 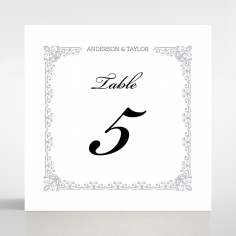 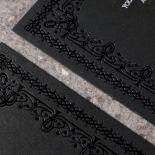 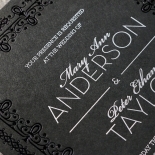 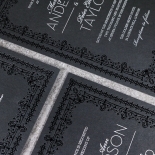 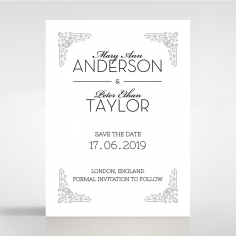 This magnificent wedding invitation features exquisite Victorian lace patterns letterpressed onto the thick raw black premium cotton card stock to create a bordering frame. 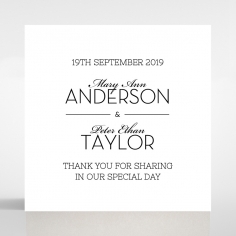 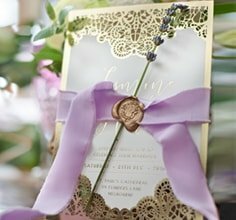 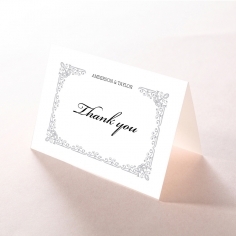 To add your touch of personality, choose a different font style and customise the wedding to truly reflect your love story.